OMG where is December going, in a fortnights time it will be Christmas Day and it's already Day 11 on our Advent Calendar. Hope you have all had a good day. I have noticed whilst blog hopping that traffic on the blog has certainly dropped off in the last couple of weeks, luckly thats not the case here, I think this must mean you are enjoying our little effort to make the run-up to Christmas exciting and fun. No question for you today you just need to leave a comment below this post to be entered for todays gift. Don't forget to check back at the same time (00:01GMT) to see what is behind window 12. You can also stir in 2 oz of brandy, although this is of course entirely optional – but very tasty. Don't forget to be in with a chance to win the lovely Whiff of Joy Willow with Cookies stamp just leave a comment below and check back tomorrow to see if you have been lucky. Best of Luck!! Yesterdays herb will soon have a new home, the number chosen by Random.Org was 183 That is Suzanne from Crafty Kid Family. Well done Suzanne can you please e-mail us your address so we can get Herb off to you post haste. Don't forget everyone to check back tomorrow when we will be opening another window. This one is also cute! I would love to win it! Just another beautiful card, Katharina! I adore this one. It makes me think of my daughter and I know it would probably make my folks think of me lol. This is a gorgeous card! I love it! And this is one of my favourite stamps.. which I already have..but, why not have two and why not try my luck. Though it would be a bit ironic if I'd win today, lol. I'd love to, anyway. Thanks for a chance. Yes, she is very cute with the apron on and plate of cookies aka mince pies!!! I love this stamp! Thanks for the opportunity! I'm loving these more and more every day! So many beautiful cards and projects - thank you! And thanks again for the opportunity! Nice card. I love the different elements used in this card. Amazing card and so gorgeously colored. Ultra sweet!! As with all the stamops by WOJ this is a real keeper! Thanks for the inspiration. This card is so cute....Reminds me of baking with my daughters when they were younger. I love the card... I have been dying for Willow with Cookies... She is #1 on my WOJ Wish list!!! what a gorgeous card. the image is so cute!!! And wonderfully colored. I love that stamp its a wonderful card. Lots of luck everyone. Love the apron...My daughter & I wear our aprons all the time...makes us feel like we're really cookin'! I love all of the stamps!! A chance to win one is awesome!! This is so cute, I have a perfect use for this!! Jacqui your card is gorgeous!!!! I love it...the colors you used are so pretty and your Willow is adorable! Another beautiful card and love the layout and colors you used. Count me in on this sweet stamp. Thanks so much for a chance. Cute card! I love that image. Thanks for the chance. Ohhhhh....I love Willow!!!! What a great card! Love the layout and colors on this BEAUTIFUL card! I hope Santa delivers this beauty to my stocking!! What an adorable stamp and the card you made is wonderful. Thanks for the chance to win this stamp. Just love the Willow with cookies, and yes I agree mince pies for now. Ooh I love that card! Such an adorable and versatile stamp. I've never had mince pie before. Beautiful card! I love this image! Thanks for chance to win a stamp! Mal so weihnachtenuntypische Farben, aber total gelungen. BAck again for another go! I love Cookies, she's so cute! die karte ist wunderschön geworden. tolle farben!! das motiv ist aber auch süß!! 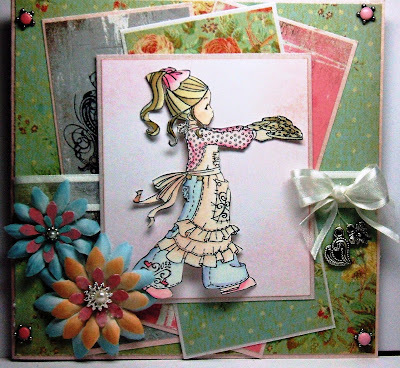 Gorgeous card - love all the layers! Hallo Katharina, das ist ja auch eine wunderschöne Karte!! Sehr schöne Farbkombi und ein zuckersüßes Motiv!!! wow that's a very beautiful card you made.thanks for showing.I really love this stamp because you can use it for a birthday card but also for a christmas card or so. to bad I don't have this one yet. We both love the card with the little bow and charms! Ohhhh!! Ich liebe dieses Motiv!!! Wieder mal eine zauberhaft schöne Karte!!!! Wow,ist das wieder eine schöööönnneee Karte! Das Motiv ist ja auch wahnsinnig schöööönnnn! Beautiful card Jacqui and I just love all the stamps they are all adorable. Thanks fot the chance to win one of them. wowo, die Karte ist toll, find die farben schön und die gestaltung, herrlich. Das ist auch wieder eine wunderschöne Karte, mit einem schönen Stempel. Lovely card, beautiful color combination. Love it! I know the days are disappearing fast. What a fab card. Just a beautiful card, stamp is too cute! Willow with cookies is so süss und passt zu jeder Jahreszeit!!! Beautiful card, I love this image very much. Thanks for the opportunity to win. Beaytiful card, Katharina, I love mince pies and our family have gone through 4 boxes of them allready and its not even xmas yet lol. This is my favourite stamp, she is so cute. Thanks for the chance to win. I love your card, Katharina.... This is another one of my favorite stamps.... OK, who am I kidding... They'll all my favorite stamps.. Thanks for all the lovely things. they are all so cute. I like this card too! Gorgeous card! Thanks for the chance to win this stamp it is lovely! Gorgeous brads ... and lovely colour scheme! Love today's card, the stamp is lovely and I would be delighted to win her. Thank you for your generous Christmas gifts to us all! My daughter was just passing as I was reading this post - she loved the card. Had to show her the rest of the stamp range - ooooooooh she might just treat me sometime - fingers crossed. What a lovely stamp. Love your colours on the card they match perfectly. Die Karte ist wieder echt gelungen und diesen Stempel hab ich noch nicht, vielleicht hab ich ja diesmal Glück, gebacken habe ich schon 2 mal und das Rezept hab ich mir auch schon notiert, muss nur noch umrechnen..grrr.., kenne ja nur gramm!!!! As busy as this time of the year is I am love to make time to check out your blog. I love all the ideas. Thanks for all the fun! your card is so pretty!!! Great blog candy. Pastry recipe sounds nice, I might give it a go. What a stunning card and such a sweet stamp. Gorgeous card I love mince pies! Wieder so eine wunderschöne Karte mit soooooooooo einem tollen Motiv. What a wonderful Willow card !! This stamp is sooo beautifull!! Another beautiful stamp and another beautiful chance to win! what a nice card and sooooo cute stamps :)! Sooo beautiful card! I LOVE the papers behind! And so cute stamp!! thanks again for chance to win ..
Deine Karten sind alle wunderschön! Auch diese hier ist wieder ein Traum!!! I love mince pies - might need to bake today!! Gorgeous H and S image and card above! Don't have this WOJ stamp and I have seen such beautiful cards made with it! Would love to win it! Ein ganz großes Lob an deine Designer. Beautiful card, love the addition of the charms. Have a great day. Love the stamp and your card. Gorgeous, gorgeous card! Love all the layers and the colors! Ohhhh...mein Lieblingsmotiv bei WoJ. So süß, wie sie da ihre Kekse präsentiert....absolut toll der Stempel. Und die Karte ist ein Traum! Gorgeous card!! And such a lovely stamp! Thanks for the chance!! Katharine= this care is beautiful! Love the coloring you did on it. Fingers crossed once more. Don't worry, I am not being greedy. Just wanted to say thank you. I am delighted to be a winner. Also, this has been fabulous, so much fun. It is lovely to read everyone's comments and the answers to the questions each day. Thank you for the fun in the run up to Christmas and for my gorgeous Herb. It would be a dream come true to have this adorable Willow move in with me!!! Keeping my fingers crossed! That's a another great card! And I adore mince pies!!! Much harder to find in France so I really miss them this time of year. what a beautiful card and such a gorgeous stamp!! Great card! Well if you have a great stamp it's half the effort. I'm so curious each time... hoping that I've won. Maybe this time! Isn't she adorable! I have her on my Christmas wish list! Thanks for this Advent calendar! Thank you again for giving us all the chance to win these lovely stamps. wieder so eine süße Karte!Das Motiv ist auch toll! (hab ich auch noch nicht! ).Vielleicht hab ich ja heute mal Glück? Fab card Jacquie. 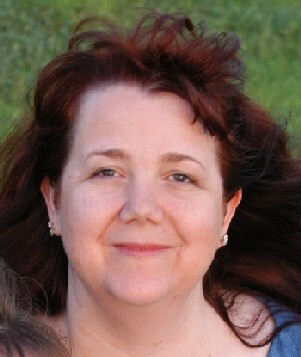 THanks Katharina for the wonderful chances. This is a wonderful card, I love everything about it from the stamp to the way you have constructed it. May. What a beautiful card Katharina. Thanks for the chance to win. Very cute card!! Would love to have this one too! Thanks again for the chance. Such a beautiful card; adorable image and colors! what a lovely card and the stamp is adorable. I hope they ARE cookies as I prefer them to mince pies, even ifit is christmas! Thanks again for the chance at such beautiful stamps! WOW .... it Christmas ever getting here fast! I'm no where near ready and yet all I can do is play on the computer..... I guess it's b/c your blog is always so addictive with all the beautiful creations!!! Thanks for the chance and for sharing your talent with us. They are all equally amazing! Super coloriert!!! Es sieht einfach spitze aus!!! I love this stamp it is so cute. Thanks for the chance to win again. beautiful card Jacqui, you are doing a fabulous job with the calendar, love the little extras underneath ie the quotes and today's recipe! two weeks until Christmas?!?! Is that all? I had really better get moving with everything. I am not a fan of mince pies, but that stamp is lovely - you can just imagine her making them and giving them to someone like her grandparents!! Oh! I do love this girl too! I would love to win Willow with cookies, she is lovely and so are the cookies! I love all the stamps. The card is gorgeous. Thank you for the recipe, I'll try it out at the weekend. I would love to win her....you can almost smell those freshly baked cookies. Another stunning card! Thanks for another chance to win. I love these stamps and cards. I also really like the way your last card came out - the one made with the pierceabilities(sp?). I may have to invest in a set sometime. OMG - this willow is so cute, Katharina. I'd love to take her home. Thanks for the chance! I so love these stamps and you made such an adorable card with it! !